Has it been awhile since you've had your Bronxville home's air ducts cleaned? If it's that time again, call our duct cleaning company for reliable service. Our experts have been helping homeowners improve their indoor air quality for decades. You can count on us for air duct cleaning, air cleaners, and humidifiers. Locals trust our Bronxville duct cleaning company because we've been around a long time, have invested in the state-of-the-art equipment to get the job done well, and treat our customers with honesty and respect. You would not believe what air duct cleaning technicians have found inside the ductwork of homes. Down to old food, black mold, and dead rodents, you don't want to neglect this equipment to risk contaminating all the surfaces of your home. Schedule our duct cleaning service every couple of years, more often if you have pets, to keep all these health problems away from your family. Duct cleaning will not remove the airborne contaminants that already exist inside your home, just those that have been trapped in your HVAC system and ductwork. 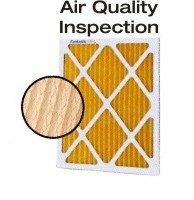 Only air cleaners will keep your indoor air clean for the long-term. We install energy-efficient air cleaners in Bronxville homes. Let's take a look at some of the different options you have today. Humidifiers can make your home feel more comfortable to live in if the air is too dry, but there are other benefits as well. Low indoor humidity is a problem for your home and your health. Moisture is important for our mucous membranes and sinuses. It's also important to some degree for the woodwork in your home, especially where it is also exposed to the drying effects of sunlight. If you've noticed sinus problems or feel uncomfortable, it may be that your furnace is drying out the air inside your home. Whole house humidifiers solve these problems, balancing the humidity level in every room at once. If you are looking for a duct cleaning company in Bronxville then please call 914-381-5764 or complete our online request form.